In any crisis, like the global economic recession or the aftermath of a hurricane, you have to make tough decisions. What criteria do you use to decide between competing options? How do you prioritize and balance your portfolio of initiatives, programs and projects to make the best use of available and limited resources? The initial step is to apply triage and evaluate the current situation. Next, you must address competing criteria to prioritize projects and balance the portfolio with the right mix of projects. While many criteria and models can be used to prioritize projects and balance the portfolio, here is a simple and straightforward approach. Prioritize programs and projects based on 3Rs of rewards, risks and resources. Balance based on strategic fit and alignment to the business objectives. Rewards are the performance potential or any combination of benefits that may include financial criteria such as return on investment (ROI), payback period, net present value (NPV) and internal rate of return (IRR). Rewards also include non-financial or intangible benefits, such as customer satisfaction, reputation, goodwill or effectiveness—for example, the effectiveness of a vaccination program. Risks represent the probability of success or failure. Modern portfolio theory (MPT) defines an optimal portfolio as the one that generates the highest possible return for a given level of risk. MPT was introduced by Harry Markowitz in his paper, "Portfolio Selection," published in 1952 in the Journal of Finance. Even though MPT focused purely on financial portfolios, project portfolio management is based on similar principles. According to MPT, expected risk has two sources: investment risk, which is the risk of the individual stock, and relationship risk, which is the risk derived from how a stock relates to other stocks in a portfolio. In project portfolio management, there is a strong emphasis on the evaluation of projects individually. Often overlooked or misunderstood is the relationship risk: you also need to assess the impact of individual projects on the others in the portfolio. Resources are any combination of people, available funds and budget, equipment, hardware, software or any other assets required to do the project. Strategic Fit addresses how projects fit into the mix of related projects in the portfolio. A project may appear to be optimal; it may have high benefits, low risk and low resource requirements. However, if it does not fit into the strategic mix, it can diffuse or water down the portfolio’s focus. Example: Your IT portfolio consists of one type of technology platform and you introduce a new project based on a different technology that is not part of the overall IT strategy. The new project has the potential to become a high-risk project and cause a ripple effect on the overall portfolio. Strategic Business Objectives guide the alignment of projects with your organization’s overall objectives such as cost-reduction, revenue growth, increased market share or agility. Projects should be linked to one or more of these objectives, which provide a focus to align and balance the portfolio. Portfolio management is a mindset you can apply at multiple levels, whether you are managing a crisis or making personal decisions to prioritize and select the right options. 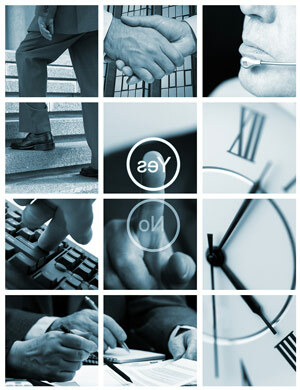 n project management, you juggle the triple constraint of time, cost and scope. In portfolio management, you use the 3Rs of rewards, risks and resources to prioritize your projects. Focus on strategic fit and align projects with business objectives to balance your portfolio. Mr. Duggal is the managing principal of Projectize Group LLC, specializing in next generation training, consulting and tools, and a PMI SeminarsWorld® leader of the seminar Building a Next Generation PMO and Portfolio Management. For questions on the content of the seminar, or your comments and feedback, please contact Mr. Duggal. He will present a paper titled Rigor Without Rigidity – How to Achieve Balance, at PMI® Global Congress 2009— EMEA to be held in Amsterdam, Netherlands, on 18–20 May. This feature builds on the articles Cultivating a Portfolio Mindset, published on 14 November 2008 and To Focus on the Right Projects, Categorize and Classify, published on 12 December 2008. To access the Post archives, log on as a member to PMI.org > Resources > Publications > Community Post archive.